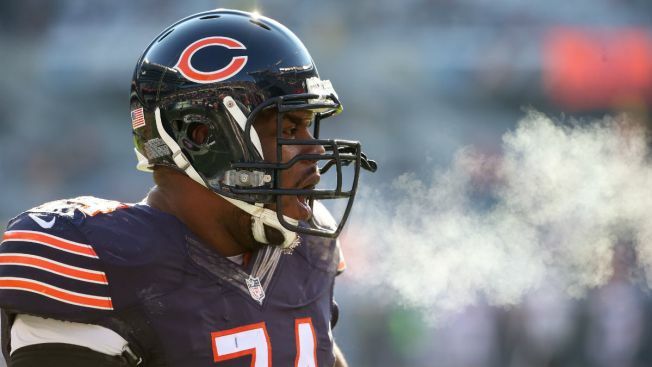 Another Chicago Bears lineman has a new contract extension, as left tackle Charles Leno Jr. has agreed to a new deal with the team. The Bears announced the contract on Wednesday, and the new deal will keep him in a Bears uniform through the 2021 season. The team did not announce details of the contract, but according to Brad Biggs of the Chicago Tribune, the deal will pay Leno an estimated $21.5 million in guaranteed money. That ranks him as the 14th-highest paid left tackle in the NFL, according to Kevin Fishbain of The Athletic Chicago. Leno is the third Bears offensive lineman to sign a new contract in the last year or so. Left guard Kyle Long is under contract through 2021, although the Bears have an out in the contract after 2018 that would leave $3 million in dead salary cap space in 2019 should they choose to exercise it. The Bears also have Josh Sitton under contract through the end of the 2018 season after signing him to a three-year contract last year when he was cut by the Green Bay Packers. They can get out of that deal after the current season ends.